A bill being considered by the New Jersey Legislature would expand the range of damages that could be awarded under our state’s Wrongful Death Act. If passed into law, it would increase insurance premiums for all New Jersey residents by making lawsuits more expensive and difficult to settle. S1766, which is being sponsored by Sens. Scutari and Gill, would expand New Jersey’s Wrongful Death Act to allow unlimited recovery for emotional damages. Scutari, who chairs the Judiciary Committee, refused to hear testimony before having the bill voted out of committee. “[T]he existing methodology also ensures clarity and certainty—the approach is well-established and honed through years of developing case law,” Kass said. “And by taking the purely emotional aspects out of the calculation, the methodology permits the ready valuation of cases, which is essential to reaching settlements. “Changing the rules to permit awards for what is essentially unquantifiable would undo that fairness and predictability,” she said. The change would also significantly increase the risk and burden on all New Jersey residents. People carry insurance because they recognize that a momentary lapse of judgment can sometimes result in tragic, completely unintended consequences. Everyone benefits from being able to insure against the financial consequences of such a tragic event. Exposing New Jersey residents to an open-ended and unpredictable risk of liability would mean a significant increase in premiums, and still no guarantee that they have adequate protection against a massive jury verdict. There is no amount of money that can fully compensate for the lost life of a loved one. The best that the civil justice system can do is compensate the quantifiable losses – something the existing Wrongful Death Act already does very well. Ask for more than the system can reasonably provide, and we lose the predictability and basic fairness that we largely take for granted. The primary effect will simply be higher premiums, with a largely uninsurable risk that a momentary mistake results in life-altering financial calamity. 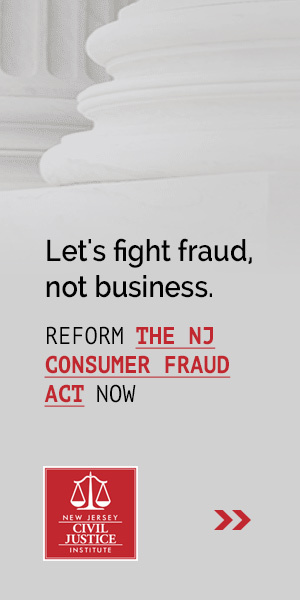 Click here to read the full NJLJ article.